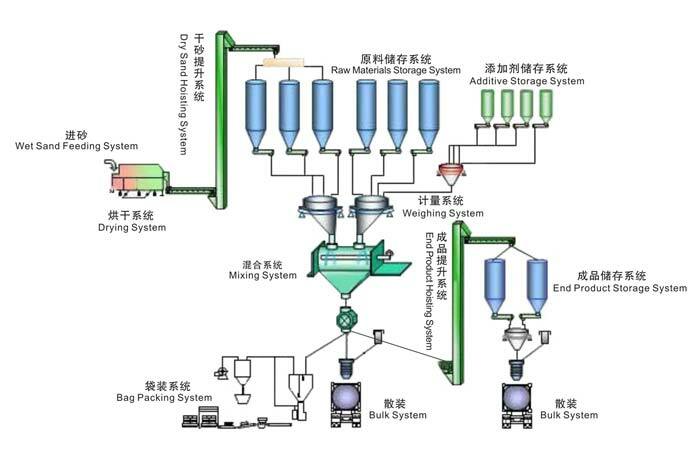 Dry mortar production line is a set of equipment that are used to produce dry mix mortar – also known as dry premixed mortar or ready mix mortar for uses in construction and other industry. 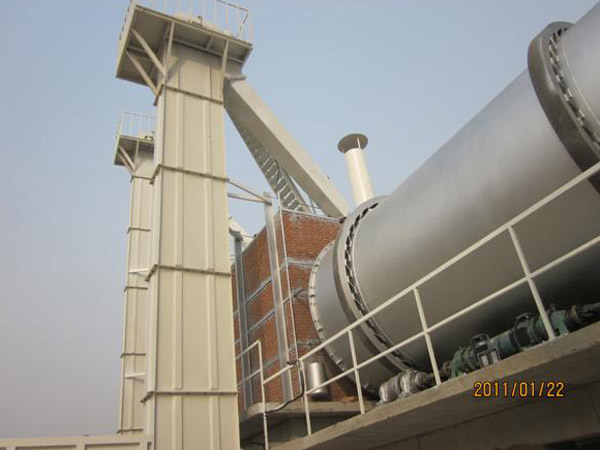 With the development of economy and the trend for environment protection, the demand for dry mix mortar production line is increasing. That’s because the market demand for dry mortar has increased rapidly due to its outstanding advantages when compared to the mortar produced on-site. It’s semi-automatic type, you have to feed the materials by human labor. 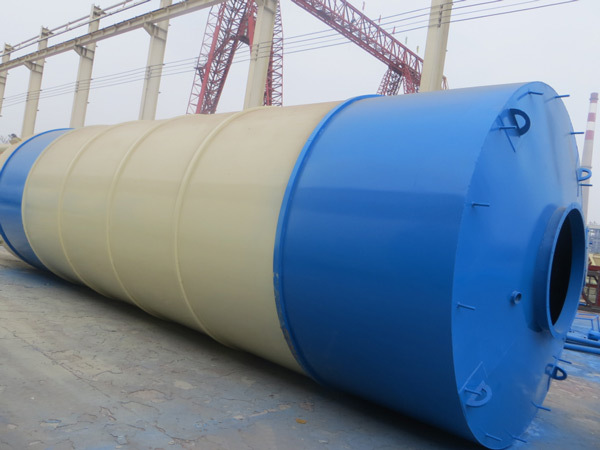 It doesn’t has sand drying system, weighing system, cement silo, but has a packing machine. 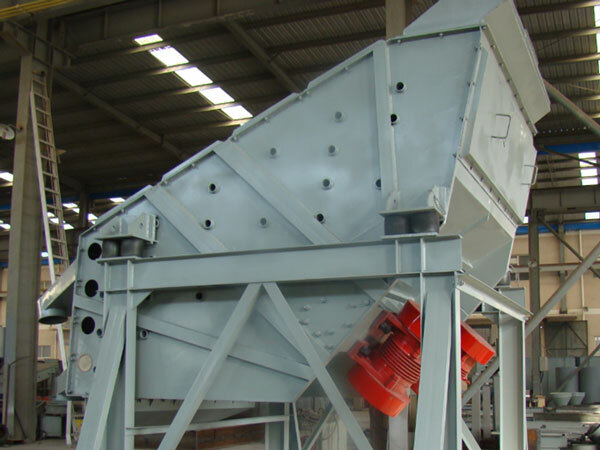 It’s semi-automatic or full automatic, doesn’t has sand drying system, but has a packing machine, weighing system, cement silos can be added according to customers demand. 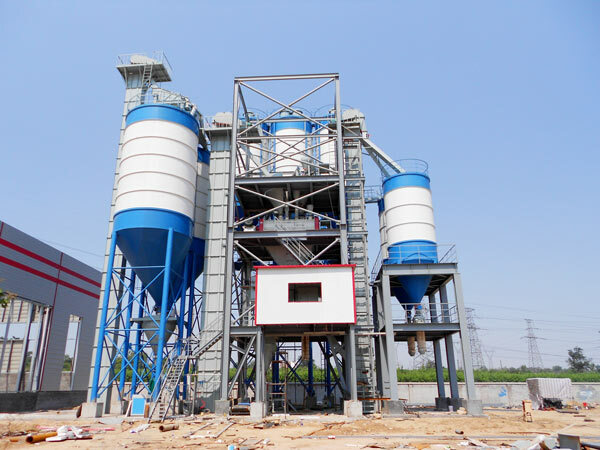 This building construction dry mortar production lineadopts the upper and lower two-level frame structure, equipped with biaxial gravityless mixer, finished product storage bin, packaging machine and pulse dust collector. The equipment covers an area of about 20m3, and the height is 6.5m. The output is 3.-5 tons. It’s suitable for customers whose plant height is limited. 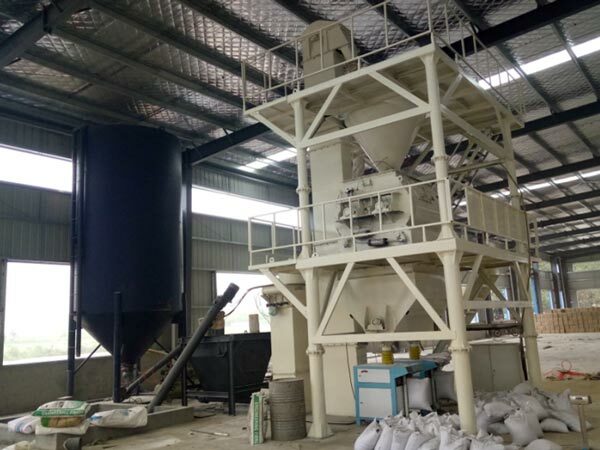 The medium-sized automatic dry mortar production linesuse the upper, middle and lower three-level frame structures, which include the bin to be mixed, the biaxial gravityless mixer, the finished product bin and the packaging machine and a pulse dust collector. 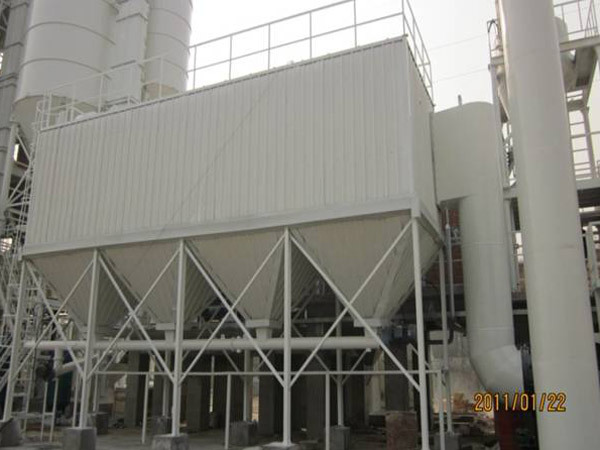 Sand drying system can be added if customer has the demand. The equipment covers an area of about 30m3 with a height of 8.5m. 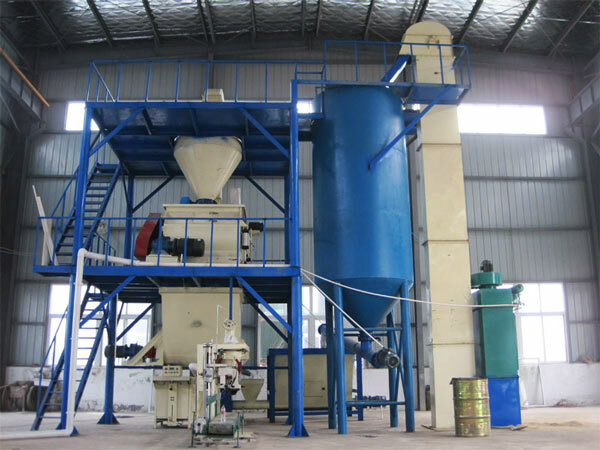 This mortar production linehas moderate investment and quick return. 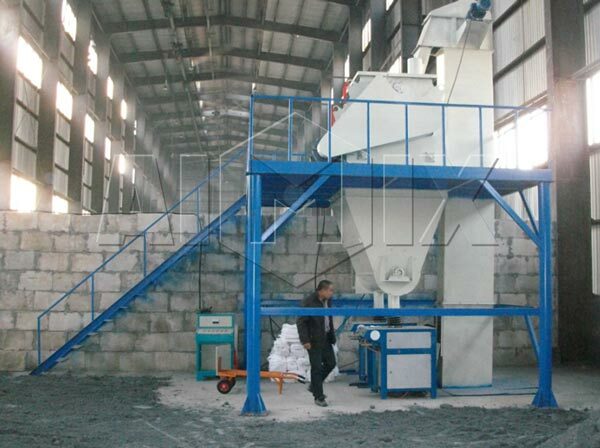 What’s more, it can be upgraded to an full automatic dry mortar production line in the later period. 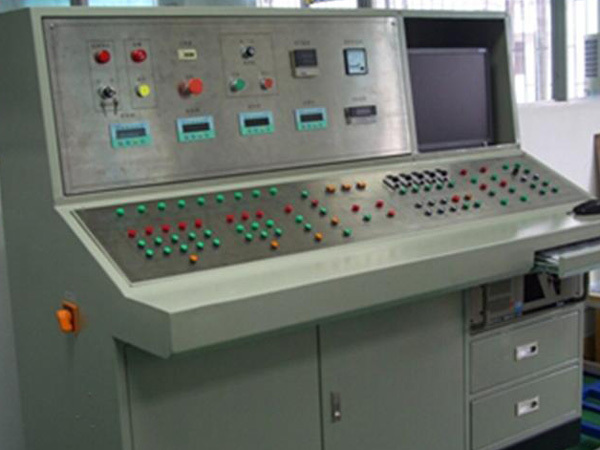 This big dry mortar production line is full-automatic, equipped with weighing system, packaging system and bulk. 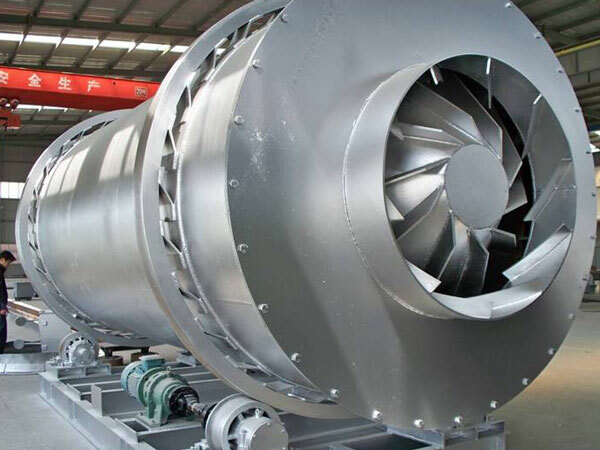 Sand drying system can be customized according to customers’ requirements. Dry Mix Mortar is a kind of the construction materials. It is mainly composed of cement, sand and some other chemical additives. 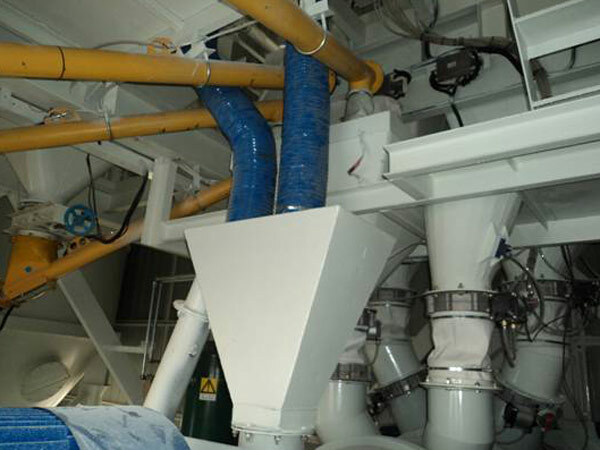 These ingredients are precisely weighed and evenly mixed in a set of machine – dry-mixed mortar production line. The finished mixture is usually packed in bags or in bulk amount. Dry mixed mortar can be put into use on construction site by just adding water or other ingredients and mixing them together. Dry mortar is divided into ordinary mortar and special mortar according to their application. Ordinary mortar is divided into masonry mortar, plastering mortar and ground mortar. 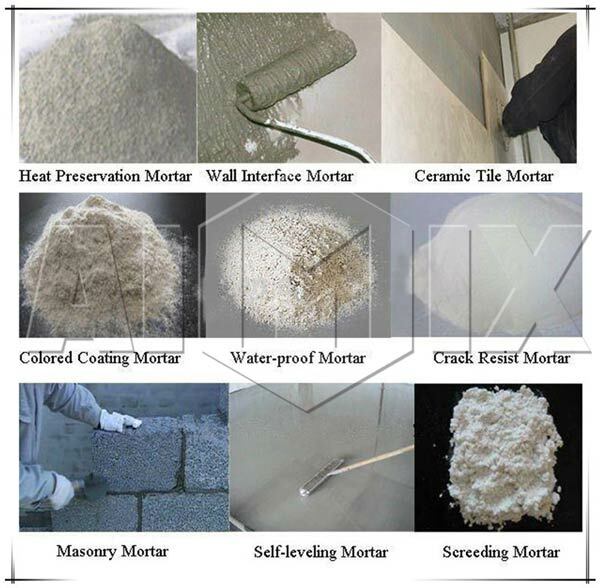 Special mortar is divided into tile adhesive mortar, joint mortar, insulation mortar, waterproof mortar, decorative mortar, colored mortar and so on. 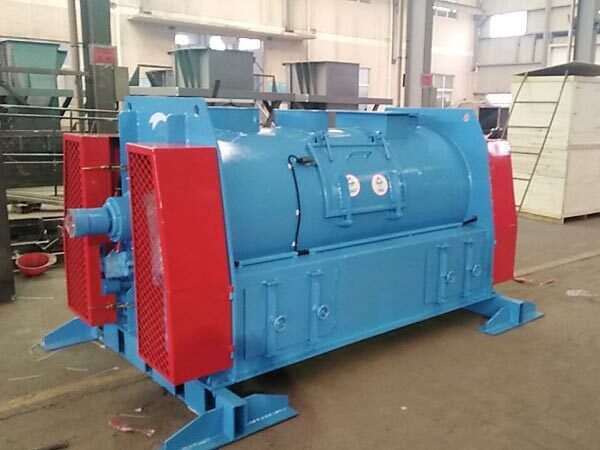 A set of dry mortar production machinery can produces various kinds of mortars for different uses. The differences lie in the different dry mix mortar recipes. Aimix Group can provide dry mix mortar recipe for customers. It is mainly composed of drying system, elevator, premix bin, stock bin, dry mortar mixer, finished product warehouse, packer, dust collector and electric control cabinet. A: our professional engineers will design a suitable mortar production line as your specific requirement. It depends on the capacities and automatic degree. A: (1)Sem-automatic line need human labor to feed materials, while full-automatic line need not. (2) semi-automatic line may not need material silos, full-automatic line need. (3) Semi-automatic line is relatively cheaper than full-automatic line. A: 2-3 workers will be enough to operate this line. A: We can offer the whole set of equipment from storage system to packing system. What is factory area needed? A: It depends on the line type. 20-1000m*m will be enough. Can you install in my country? 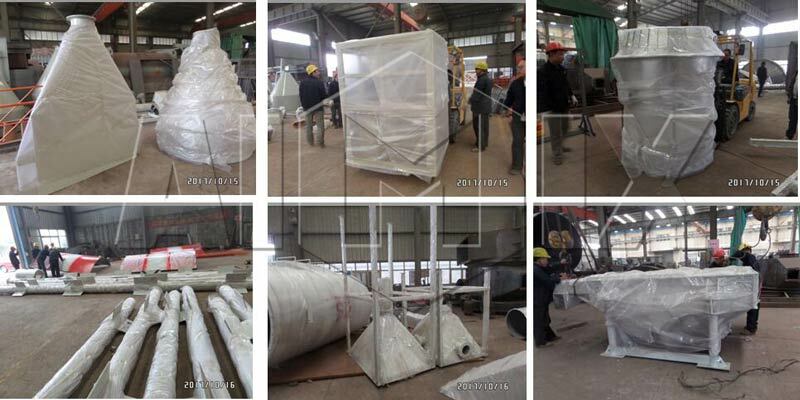 A: Yes, we offer oversea installation service. A: Yes.We offer free training service. Aimix Group, a China dry mortar produciton line manufacturer, has helped customers in domestic and oversea countries set up their dry mortar production lines in the past years. 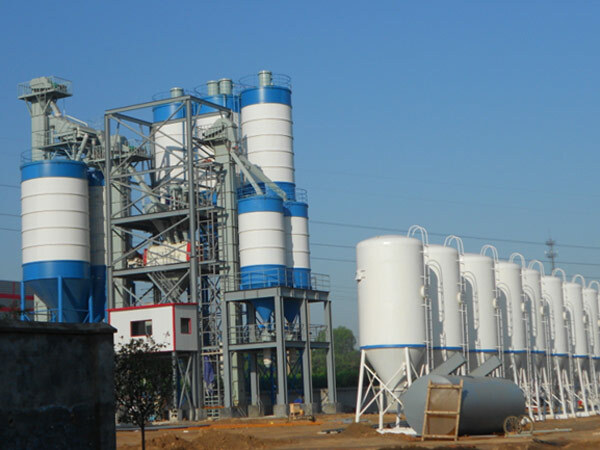 Our Dry Mortar Plant has been exported to Iran, Pakistan, Indonesia, Cambodia, Sri Lanka, Qatar, India, Vietnam, Thailand, Romania, Peru, Korea, Sri Lanka etc. There are more than 180 lines available for customers to visit. Our company provides one-stop free instruct service from process design, mortar mix ratio and construction process etc. (excluding the on-site guidance costs) to solve the customers’ worries. 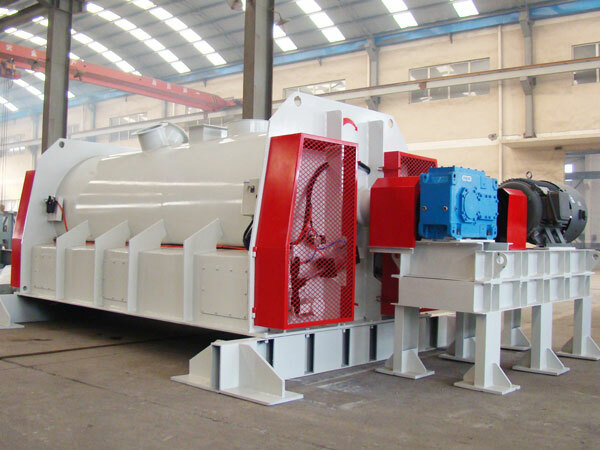 If you are planing to invest in this promising dry mix mortar production line industry, don’t hesitate to contact us and get the latest dry mortar production line price now! Write down your questions or inquiry in the form below now or send email to sales@aimixdrymortarplant.com! We will reply you in 24 hours!